A Chinese economic slowdown could adversely impact Indian exporters, as global markets could see a flooding of low-cost goods from China, according to credit ratings agency Fitch. Slowing economic activities in China would result in excess capacities that could hit the overall demand-supply balance, it added. "Over the longer term... a slowing China would result in excess capacities across many manufacturing sectors and would change global demand-supply dynamics, especially given China's low cost of production. "This could result in intense competition for India's manufacturing exports due to low-cost Chinese goods and put pressure on profitability for exporters," Fitch Ratings said. 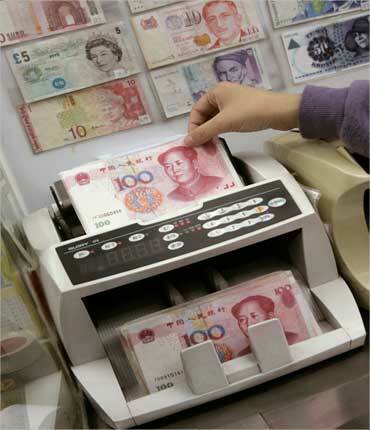 Image: Yuan notes are counted at a currency exchange office in Hong Kong January. In the short-term, however, the impact would be limited due to the growing trade deficit between the two economic powerhouses, with India's exports to China accounting for only a small part of its total overseas shipments. In the first half of 2010-11 (April-September), India's exports to China were worth $5.5 billion, while imports were to the tune of $19.2 billion. 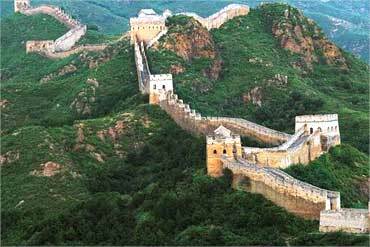 In the 2009-10 fiscal, India's exports to China were $11.6 billion and the country's import bill from China stood at $30.8 billion. However, a Chinese slowdown would make global commodity prices cheaper and help Indian corporates, said 'Fitch Street View: Corporates-India vs China'. 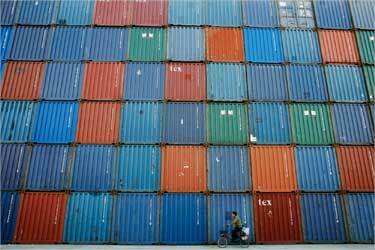 Image: A man rides a bicycle past containers at a port in Shanghai. It added that India's domestic market would also be affected due to overcapacity in China which would put pressure on margins of Indian firms. Fitch said that while the direct impact of a sharp slowdown in world's second largest economy would be manageable for India, the indirect impact of a global slowdown leading to capital outflows, investment sentiment and currency volatility is difficult to quantify. 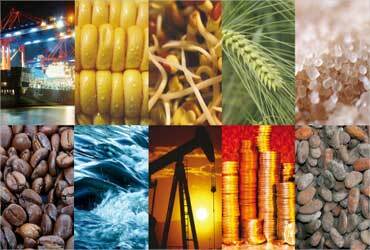 Corporates in both the economies are susceptible to commodity shocks due to high reliance on imports, it said. "In the event of a China slowdown, commodity prices would fall which, when taken in isolation, may be marginally positive for corporates in India," Fitch added. It said that while India's regulatory environment has remained focused on controlling credit growth, the growth in China has to a large extent been funded by bank credit. Fitch said, "While regulations at various levels in India limit efficient capital allocation, they also act as a cushion in the event of a slowdown as was evident during the 2009 slowdown. In the event of a sharp slowdown in China which impairs asset quality of Chinese banks, Indian corporates are likely to have better access to the domestic banking system." It also added that for international houses, the main concerns over doing business in China are corruption and rule of law. However, they find China preferable than India with regard to ease of doing business and the East Asian giant's political stability.